1. I’m not currently connected to a church. How can I find a good church? There is no simple answer to this question. First of all, let me urge to pray about it. If you faithfully seek the Lord’s guidance, he will lead you to a church that is right for you. Second, talk with Christians who live near you. Ask about their churches and consider their recommendations. Most people find a church through friends and family members. Third, check church websites. 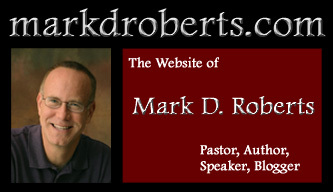 You can find out lots of information, especially if a church has a sophisticated website. You’ll be able to find out about church ministries, core beliefs, staffing, etc. What should you look for in a church? First and foremost, look for evidence that a church honors Jesus Christ as Lord and Savior. Unfortunately, not every Christian church exalts Christ in this way. When you visit the church, see if the worship facilitates genuine fellowship with God, if the preaching is biblically-based, and if the people are friendly. Look for programs that might be of particular interest to you. If you have children, be sure to check out the ministries for children and youth. Before you decide to join a church, I’d encourage you to have a meeting with the senior pastor. (In a very large church, you may meet with one of the pastors, not the senior pastor.) Bring a list of the questions that matter most to you. Remember: no church is perfect. Every church has flaws — just like you. 2. I’m a member of a church, but it’s pretty dead. What should I do? There’s no quick or simple answer to this question. 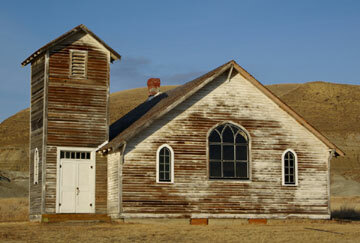 I believe that God wants to bring new life to dying churches. Renewal comes through the Holy Spirit, usually as church members share their excitement about the Lord with others. But this process of church renewal can be slow and frustrating. Second, look for others in the church who are passionate about the Lord. Even struggling churches usually have a small cadre of saints who have walked with Christ for years and are faithful to the church. Often these folks are senior citizens with mature faith and tender hearts. If possible, meet regularly with these people to pray for each other and for the church. Third, try to understand why your church is dying. Sometimes churches have a terminal theological disease. Is the gospel of Christ preached in the sermons? Does the Bible provide authoritative direction for church leadership? Do those who plan and lead worship attempt to honor God, even if their attempts aren’t very successful? If your church appears to have severe theological problems, I’d encourage you to speak with the pastor. Find out what’s really going on. If church leaders have given up on orthodox Christian faith, renewal of that church will be extraordinarily difficult. Fourth, if you believe that God is calling you to find another church, leave your former church with gratitude and grace. Don’t get caught up in a spirit of judgmentalism and criticism. 3. My church is a good one, but I’m having a hard time getting connected. What can I do? Have you made a serious attempt to be connected, or are you circling around the outside with jumping in? If you stay on the fringes of any church, you will feel like an outsider. In fact, chances are good that you will end up leaving that church. If you want to be connected — and you ought to be! — then you need to commit yourself to some context for genuine relationship. In most churches, even regular attendance at worship services won’t facilitate fellowship with other Christians. I remember speaking with one man who was leaving Irvine Presbyterian Church because he “just didn’t connect with the people.” I asked him where he had tried. “Men’s Ministry?” “No.” “Sunday morning adult class?” “No.” “Midweek Bible study?” “No, not enough time.” “Men’s small group?” “No.” The truth was he simply hadn’t made an effort to get involved with people. He was simply too busy, which is another way of saying he just didn’t value relationship with other Christians highly enough to make it happen. But I have also spoken with folks who have made a valiant effort and still feel disconnected. Usually I am able to steer them in a helpful direction, or to introduce them to people who can assist in getting them involved in committed fellowship. If you are struggling, talk with a pastor or another church leader.